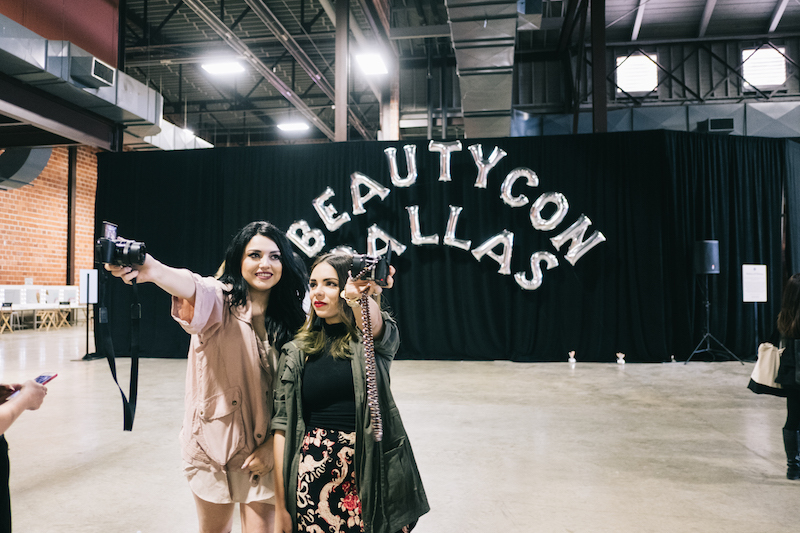 The weekend of March 19th, I was in Dallas for...BEAUTYCON!! 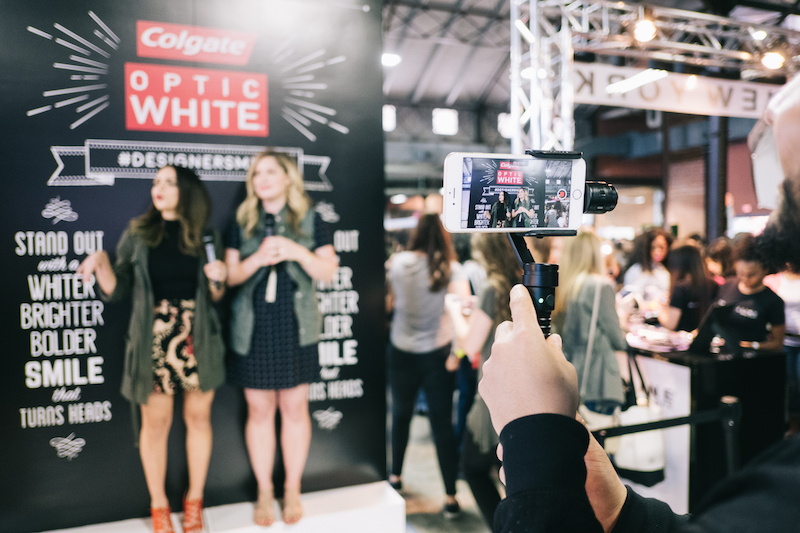 I attended as part of my year ambassadorship with Colgate Optic White- where I'll also be creating content for Walmart, so stay tuned! 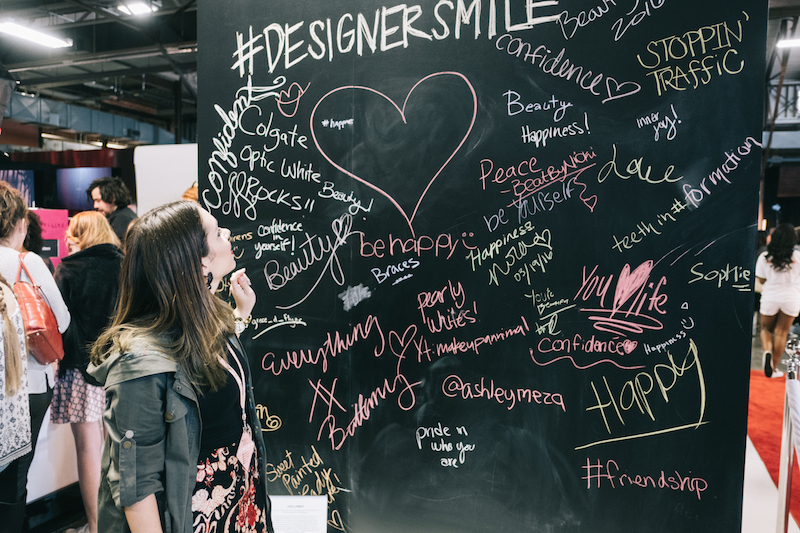 Let me tell you a little bit first about BeautyCon- it is a conference for the 2.0 beauty world, you can find some of the most popular Youtubers, Viners, Instagramers, etc. The best part is that they also have panels and the followers/fans have the chance to meet them in cute meet-and-greets. Also, the sponsor brands have their own booths where the audience can experience the new products. I spent most of my time at the Optic White booth and I completely recommend the new toothpaste called High Impact. 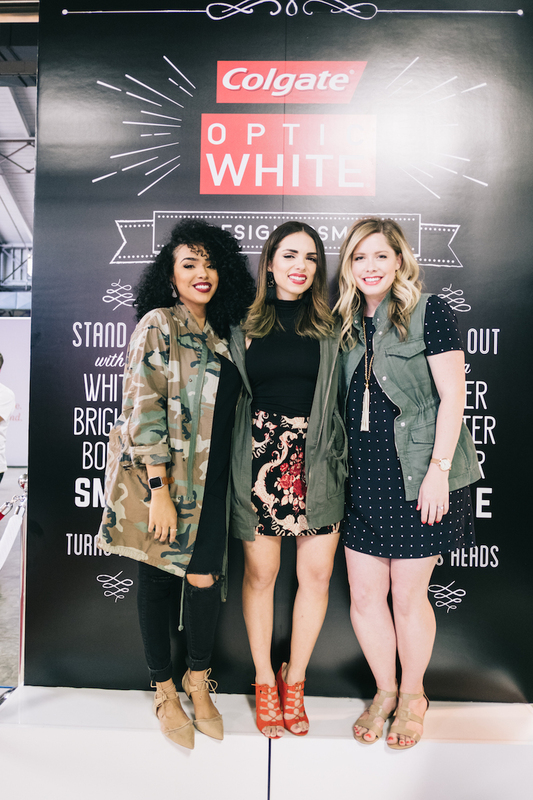 At the Optic White booth, you could also get your makeup retouched and then take pics at the cool red carpet they had there. But my first part was the blackboard with chalk where you could write what a smile that turns heads means to you. For me, it means confidence...confidence in your look, in who you are, in what you do! let me know what it means for you! All those words written on that board where so inspiring. We also shot a couple of videos for internal usage and we spent some fun time saying hi to sweet girls that stopped by! After that we headed to lunch inside the venue, I was starving and then I sat to hear the last two panels. It's so inspiring to see how everyone in this industry works so hard and it's not just about pretty makeup or a cute look. 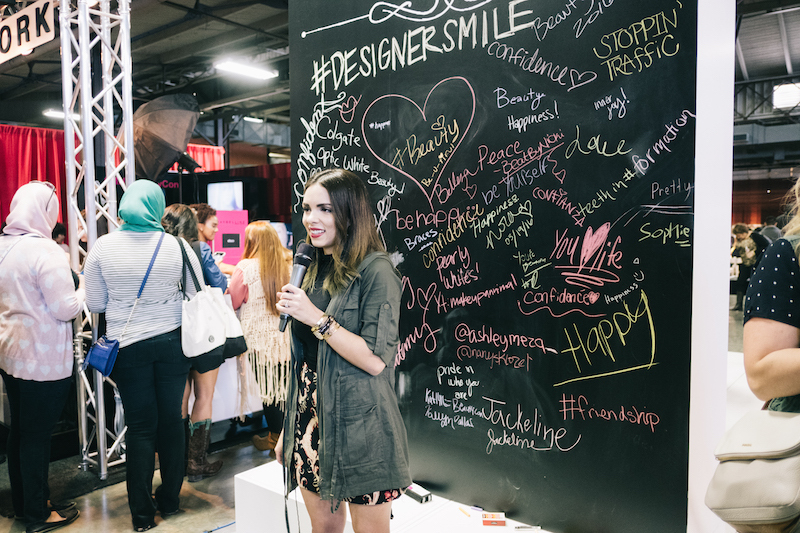 Here are more pics of my day at BeautyCon, I hope you like them! Keep smiling, because a big brilliant smile is your best accessory! 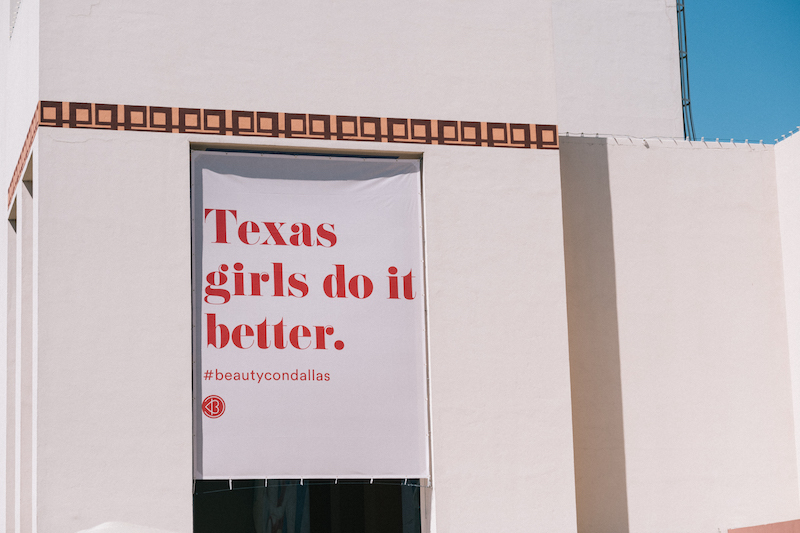 El fin de semana del 19 de marzo estuve en Dallas y fue para...BEAUTYCON!! 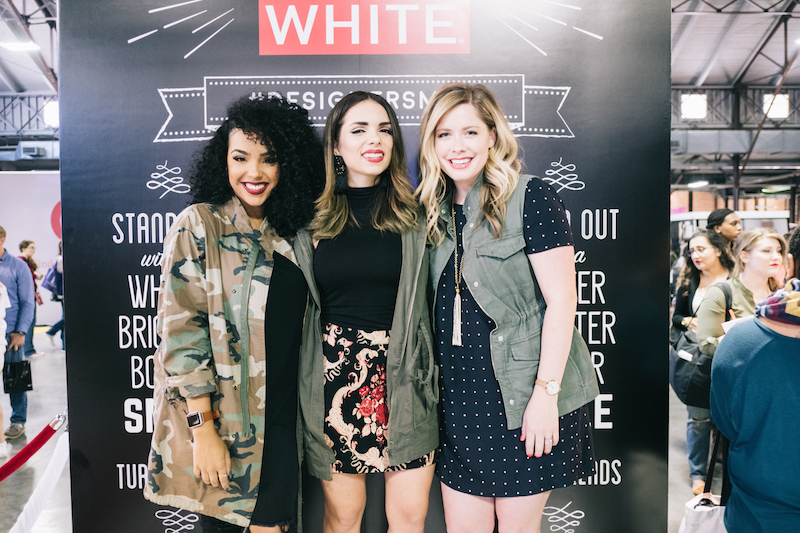 Asistí como parte de mi trabajo como embajadora de Colgate Optic White- donde también voy a estar creando contenido para Walmart...así que estén pendientes. 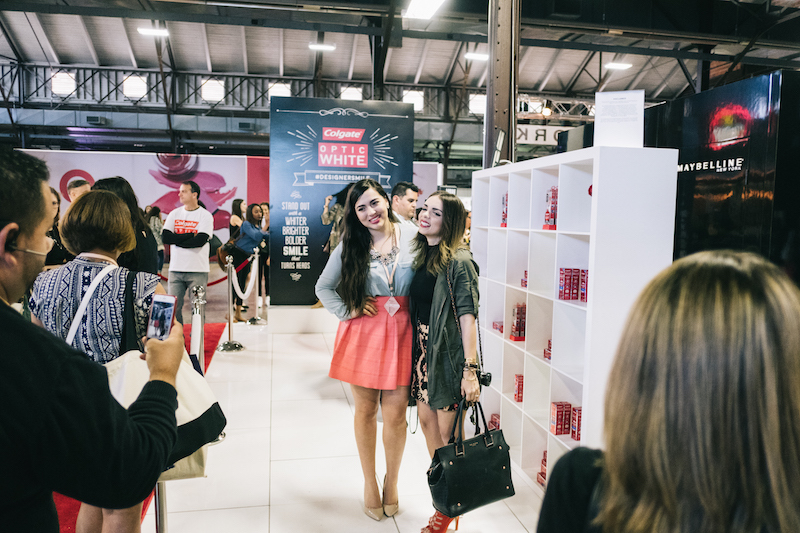 Primero les cuento que es BeautyCon- es una conferencia para el mundo de belleza 2.0 donde encuentran Youtubers, Viners, e Instagramars super populares...y sus seguidores pueden ir a conocerlos!! Diferentes marcas tienen sus puestos donde la audiencia puede probar los productos. Yo les recomiendo probar la nueva crema dental de Optic White llamada High Impact. Yo estuve en el booth de Colgate, ahí estaban retocando el maquillaje, y te podías tomar una foto en la alfombra roja. También tenían una pizarra donde podías escribir lo que significaba para ti una sonrisa que atrae miradas....para mi significa confianza en ti misma. ¿Qué significa para ti? También estuvimos grabando un par de videos para uso interno y compartiendo con las seguidoras que pasaran a saludar. Después fui a comer, me senté a ver varias de las charlas. De verdad que inspira muchísimo ver como todos en esta industria trabajamos muy duro, y se trata de mucho más que un maquillaje bonito o una ropa bonita. Abajo les dejo más fotitos de la experiencia. Espero que la disfruten. Y sigan sonriendo, porque una sonrisa gigante y brillante es siempre tu mejor accesorio. 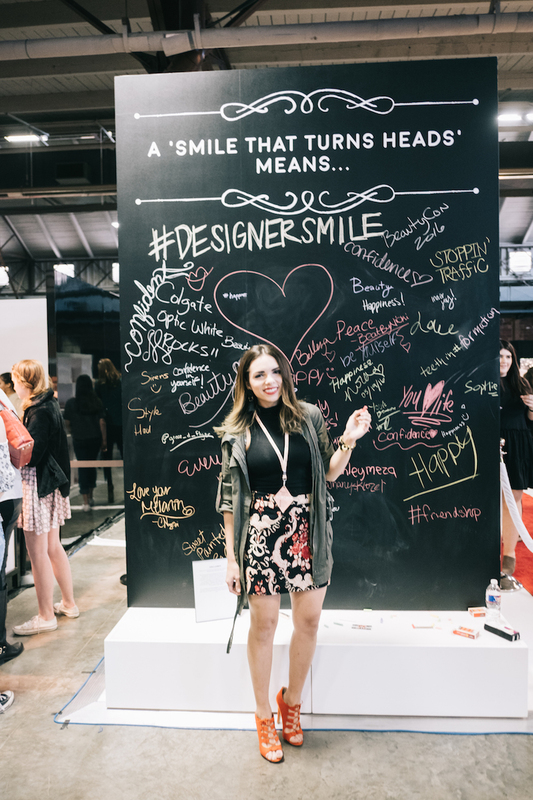 Disclosure: This post was made as part of my yearly partnership with Colgate Optic & Walmart. All opinions are my own. Comfortable, fashionable vintage 70′ inspired skirt. Easy to wear in casual or elegant outfits. Long, circle, high waist skirt. Abstract design in shades of brown, red and purple. Old fashioned style, very comfortable fabric and cut, will give you a mature look. A vintage piece that will enrich your look. Estás preciosa!! Una falda espectacular! Me gusta mucho tu estilo chic y desenfadado. Un saludo! !